Korean brands are absolutely killing the skincare game! It’s safe to say that my favourite skincare products are all from Korean skin care brands (*cough* Laneige, The Face Shop *cough*) You guys know how much I love my fact masks. 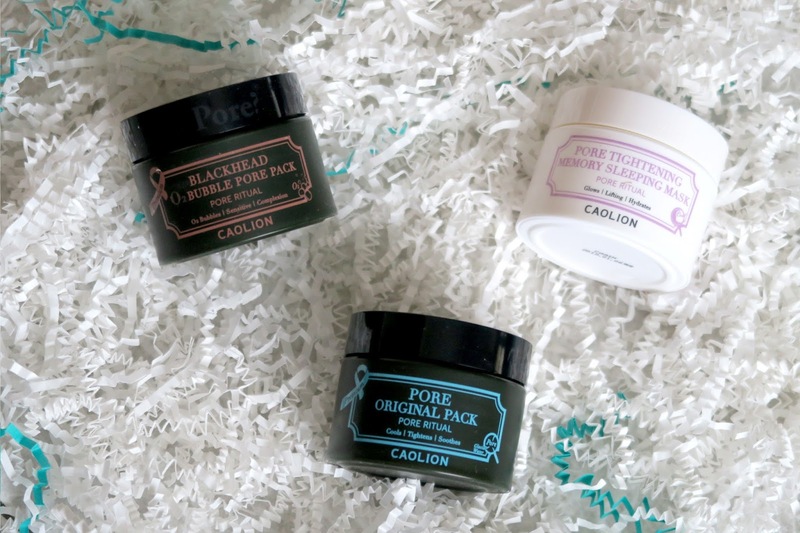 I have three Caolion packs to share with you today. Each is housed within a plastic jar, and comes with a small plastic spatula. 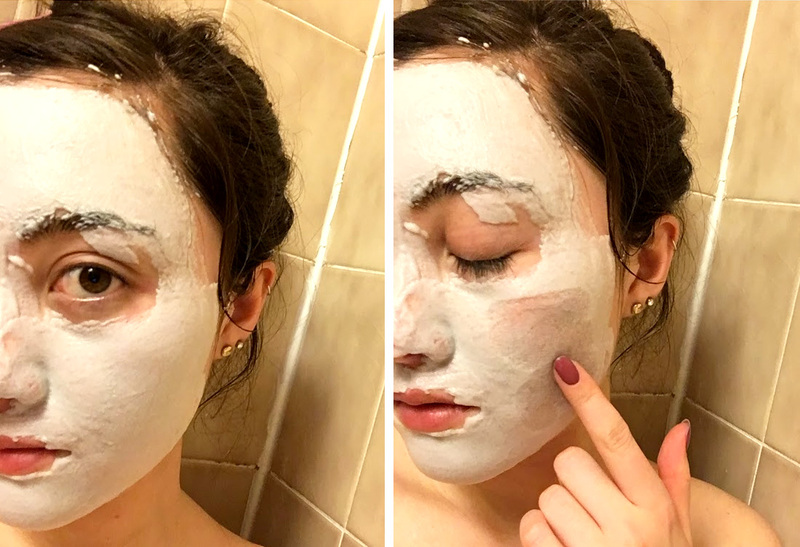 This is a self-heating wash-off mask—perfect for a weekly spa-like treatment. Even better, it’s appropriate for all skin types, including sensitive skin. The mask is formulated with 100% natural sparkling water and deep-cleansing charcoal powder work to eliminate impurities. Natural oat grains make sure your skin retains its moisture, and gently buff dead skin cells away. Texture: Mud texture and applies smoothly, although there are little grains. Scent: A light herbal scent. Application: I love this mask – it’s so cool!I’ve never tried anything like this. It looks like a standard charcoal mud mask, but it foams up when applied. 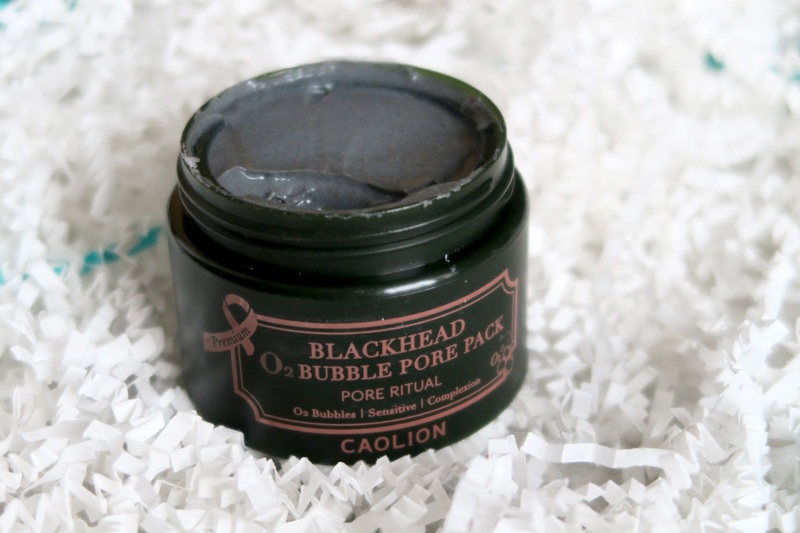 After a minute or two, the black mud turns into a bubble mask. I had a very interesting experience with this one! I didn’t read the label at first and had quite the surprise when I put this mask on in the shower. This is a cooling mask, which means after applying, you’ll feel an intense and refreshing cooling feeling on the face! 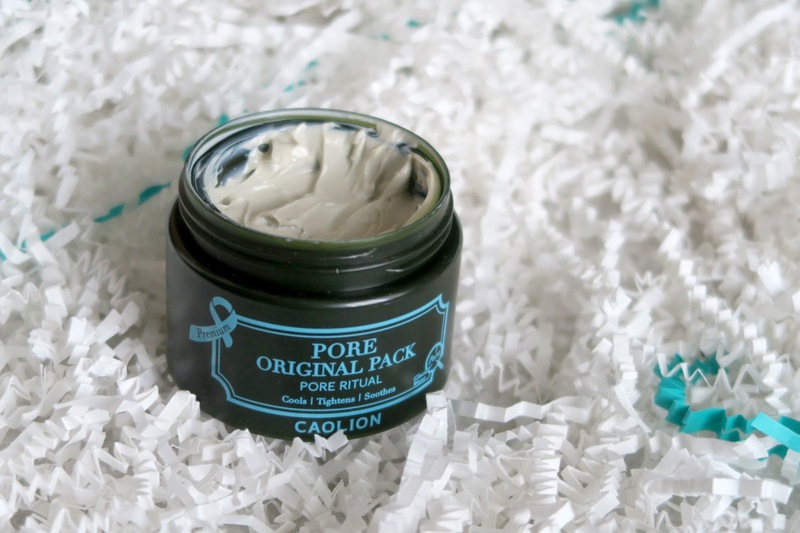 This purifying formula tightens pores and enhances the complexion. Glacial clay, Alaskan glacial water, and menthol combine for a soothing, cooling, and relaxing experience that will leave you glowing. Texture: A smooth, slippery, mud-like texture. Scent: Smells like VapoRub or Tiger Balm… An herby menthol scent that isn’t the nicest but isn’t too intense. Application: I didn’t realize that this was a cooling pack at first, and was quite alarmed that my face started tingling when I was in a hot shower. I thought I was having an allergic reaction at first! It was a pretty nice feeling though, and it’ll feel great during the sweaty summer months. Now, this one conflicted me. It looks gross, but it works! I’d compare it to Laneige’s Water Sleeping Pack. Texture: A light yellow/green, fairly sticky gel. I hate to say it, but it looks like snot. Application: Despite the weird scent, this pack makes a notable difference on the skin. It’s a thick moisturizing mask that feels a bit sticky when you first apply it. When you wash it off in the morning, your skin feels refreshed and hydrated! I have normal – dry skin and it really does give that extra boost of hydration. This cleanser quite intense. It dispenses as a cream, but lathers up into a rich and luxurious foam. I wouldn’t recommend this for everyday use because it really does deeply cleanse the skin, leaving the face feeling dry and a little bit stripped afterwards. 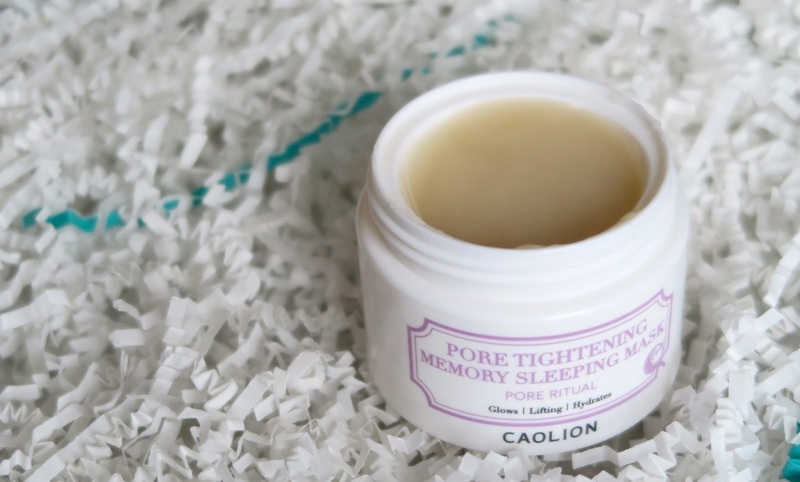 It is fantastic for removing heavy makeup, and would be ideal for those with oily skin! I would compare it to The Face Shop’s Rice Water Bright cleansing foam! You can find all of the products mentioned in this post for preorder at Peach & Lily! Overall, I definitely like the bubbling mask the best! I’ve been using it the most of the three packs, and it’s just so different from any other pack that I’ve tried. The heating and foaming effects are really relaxing, especially if you apply it during a bath. 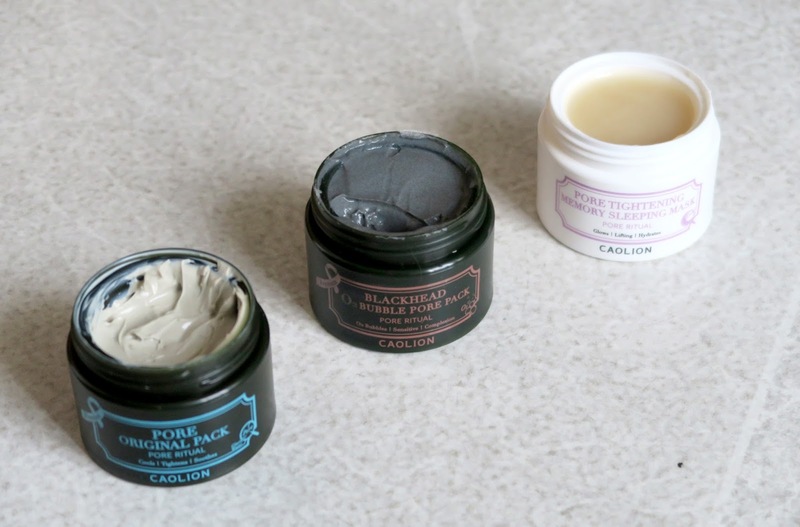 Have you tried any Caolion products before?